I talked about the big ticket camp items: tent, sleeping bag/pads, and coolers – now it’s time to move on to the fun stuff! Part of the reason I love getting into new things is the discovery of so many specialized items. Do I want a folding camp cutting board with a hidden slot for a knife in it? Why yes, yes I do! It’s not a great way to get into things because you’ll rack up a huge bill in no time at all, but I figure, if we go camping a lot lot, we’ll amortize the cost, right? Right! Right…I hope. After the cooler, the most camp-y thing I was looking forward to was the stove. I’m all about romantic cooking over the fire, but let’s be real, aside from hot dogs (which MUST be cooked over the fire), everything else is just a whole heck of a lot easier to cook on a real stove. My needs in a stove are: heats up quickly, stable enough to hold heavy cookware, takes easy to find fuel, and of course, looks good. Bonuses would be: easy to assemble and lightweight. The first guy we considered was this classic Coleman 2 burner stove. There are benefits to him: he folds up flat, he uses readily available fuel, and he’s kind of sort of iconic. But then I saw the Primus Onja Stove. 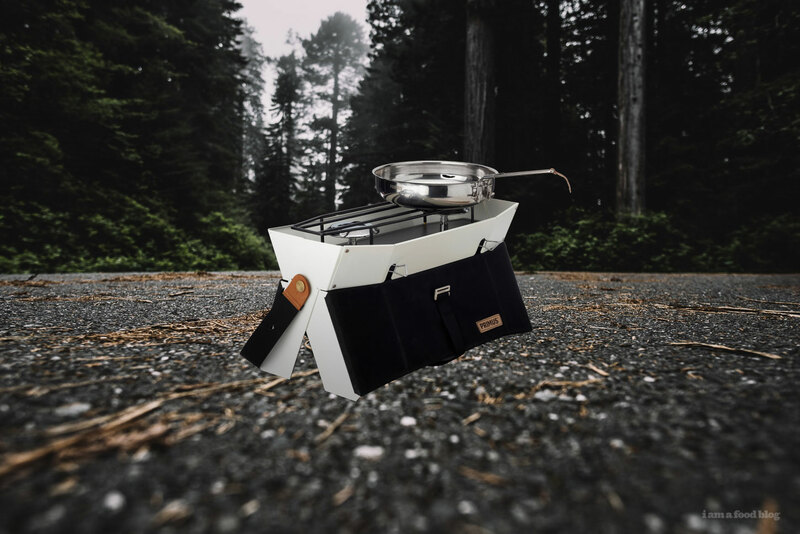 It’s white, it folds up as well, cleverly storing the fuel inside the stove, and it has a handy strap in case you’re going to hike somewhere with it. You know me, I’m a sucker for the aesthetic, so I was definitely leaning towards it. All the little stoves that aren’t for basecamp and are more backcountry friendly spoke to me as well, because I love all things mini. This Trangia 25 Kit was recommended to me by Brianne as her most used stove for backpacking. You can fly with it, it comes with 2 pots and a non-stick frying pan, only weights 2 pounds, and packs up into a handy package. I remember a friend telling about how he used one of these on his trip through Thailand, he was telling me how he used a backpack from Backpacks Asia as well. It served him well. I was really excited to pick up a lot of cooking gear, like the knife in the cutting board, but the truth is, I have a lot of cooking gear at home that is perfectly suitable for camping. Still, there were a couple of things that I had in mind that I didn’t have, namely a kettle (the one I have at home is electric) and some lightweight utensils. But first coffee is basically how Mike and I roll, so we looked for a gooseneck kettle that would be good over both a campfire with a grate and on a stove. 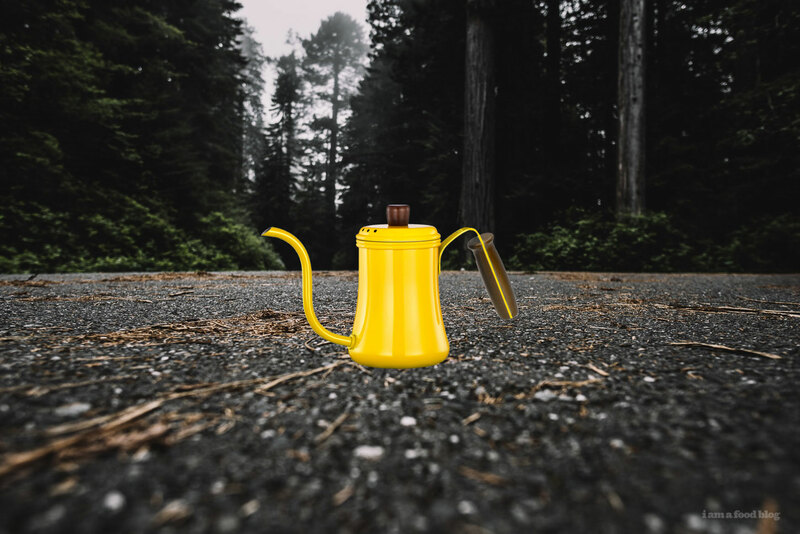 I thought this yellow kettle was quite friendly looking and I liked the wooden handle – most of the other gooseneck kettles I saw had plastic on the handles, which would work over a stove but maybe not so much over the campfire. This cute dedicated coffee maker got quite a bit of eyeballing as well, but I don’t think it’s practical for 2 people and it seems more like a solo backpackers’ coffee set up because it makes one 8 ounce cup at a time. As for knives and forks, we could have brought some from home, but if we did we wouldn’t get to explore the wondrous world of sporks! It came down to deciding between a Snow Peak Titanium spork, a TOAKS Titatium Ultralight Spork, and a Light My Fire Titanium Spork. The LMF has the bonus of having a little knife edge on the fork, but considering how clumsy I am, I’m thinking that the little knife edge would be dangerous for me. So really it was down to the SP and the TOAKS. I asked Mike which one he liked better and he said they look exactly the same and please can we not use sporks. I’ll be making a checklist of what I brought along from my kitchen as well, so keep your eyes peeled for that. I think chairs were one of the things we spent most of our time trying out. And trust me, you need to try them out and not buy them sight unseen/seat un-sat. We figured we could use our camp chairs for more than just camping so we wanted them to be lightweight and portable, for longer day hikes and picnics. Number one on our wants were comfort –otherwise we’d sit on rocks – aside from that, there were bonus points for ease of assembly and for the aesthetic. I wasn’t too concerned about how the camp chairs looked. I was definitely leaning towards black for two reasons: it hides dirt well and bugs aren’t attracted to it. We looked at three main brands of portable backpacking camp chairs: Alite, Helinox, and REI. They all kind of work in the same tent-pole like way, with cord technology and self-locating poles. After the base is put together, you stretch on the fabric, and you’re good to sit. All of the chairs we looked at were roughly under 2 lbs. The Alite Monarch was the lightest at 1.3 lbs, but it only has 2 legs, which might be off-putting for some people. It was actually one of the most comfortable and versatile of the chairs we tried and we debated pretty hard between it and it’s 4-legged version, the Alite Mantis, which at 1.8 lbs was a bit heavier. In the middle weight class was REI Flex Lite Chair, at 1.6 lbs, and the heavy hitter was the Helinox Chair One at 2.2 lbs. All the chairs come with stuff sacks and are relatively easy to put together, so really, it comes down to price point, weight, and personal preference. Oh, and if you aren’t worried about bugs being attracted to your chair and you like fun prints, Alite is the way to go. 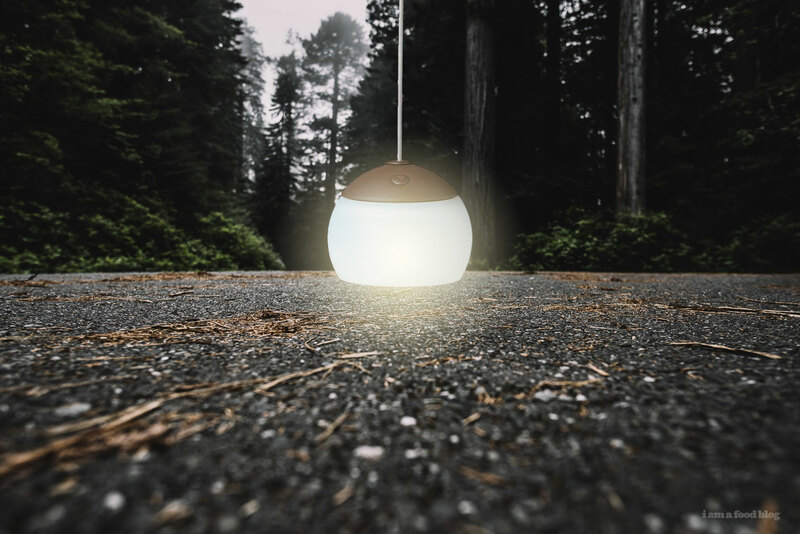 Whether or not you’re scared of the dark, you’re going to need lanterns when you go camping. I don’t know anyone who lights a torch from the fire to use as a light source. Although, now that I think about it though, that would be both fun and dangerous. There are a ton of lanterns out there, from battery powered to fuel based. Fuel based might be a little more romantic, with the flickering and all, but in the end I’m a modern girl at heart so all of the lanterns we looked at were battery/LED. If you’re looking for a lantern that lasts a long time, the UST 30 Day lasts for, yup, 30 days on it’s lowest setting. It has 4 settings, which is nice – you don’t always want your lantern at its brightest. But, at 7.25 inches, it’s kind of big. Not a problem when you’re car camping, but in a Mini Cooper, space is at a premium, so maybe not the best light for us. Typically we try to end up at a campsite before sundown, so we don’t need a lantern with a lot of space throwing light, more just a little lantern to light the inside of a tent, or use as a small torch. With that in mind, we looked at the Snow Peak Mini Hozuki Light. It too has variable settings as well as a flickering candle mode. It’s quite tiny (3 inches) but it outputs a nice warm glow that isn’t that typical weird blue you get from LEDs. 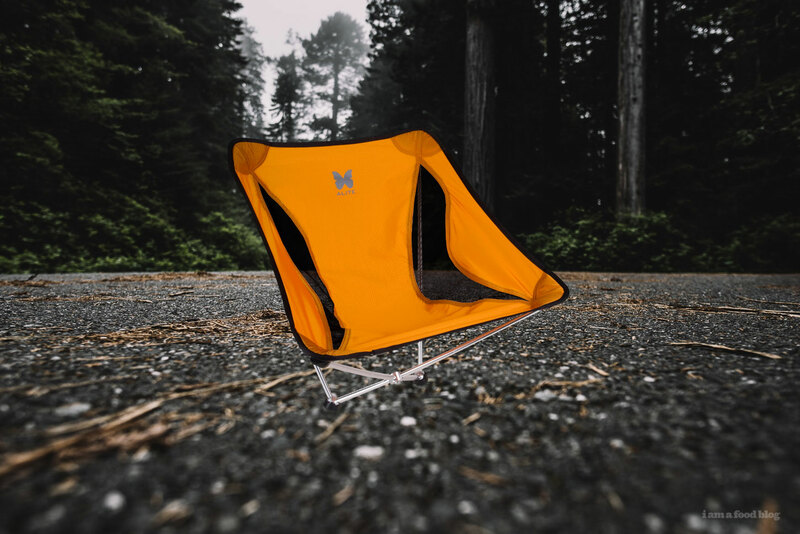 It has a magnetic loop at the top that lets you hook it from the top of your tent and it’s small, lightweight and a super cute design. There’s a slightly bigger one too! Speaking of cute design, I have to throw in this classic Coleman mini lantern. It looks just like it’s big brother that uses gas, but runs on batteries. I have no idea if it’s a good lantern or not, my guess is going to be no based on the lack of variable settings, but it was too cute to not mention. 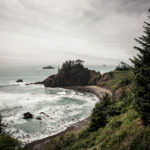 Alright, that’s all the camp gear – plus Camp Gear: Part 1 – we ended up researching/buying! It was a lot and we did a HUGE amount of research, which is super geeky and just the way we like to roll. Coming soon, my first camp cooking post, one pot beef stroganoff! What do you guys love cooking at camp? Now that I have several camp meals under my belt, I’m feeling good cooking outdoors and I’d love to hear some of your faves. i end up getting dragged on backpacking trips instead of just normal ones, so there’s not much cooking going on; it’s more like, boil water and dump onto your depressing (but light to carry) freeze-dried food. but my fave is ramen + freeze-dried veggies + beef jerky on the side. it tastes exactly how it should, and i don’t end up wondering why the beef stroganoff is so liquidy. Thanks for this. I’m very much looking forward to your recipes. Both your planning and afterwards, when you let us know what works. We end up using it at home too since it makes great espresso! For the best, compact coffee maker, we’ve discovered you just can’t beat an aeropress. They make fantastic coffee, are super light and really durable. Plus, being plastic, you can throw them in your bag without having to worry about any part of it breaking. The filters are paper, so you can throw them on the fire (or in the closest compost bin) and clean-up is easy. We have one that we take with us on all our travels (not just camping) and it’s fab. With regards to lanterns, we have one that has a magnetic back that attaches itself to the top of our tent like a limpet (if we are taking the tent). Other than that I can highly recommend you just get yourself a good head torch that has a red light setting. Great for reading in bed if your partner wants to go to sleep, or heading out to the toilet in the middle of the night (the red light particularly good for not waking you up in a “argh, my eyes!” kind of blinding way when you’re half asleep). Again, these can be used anywhere and they’re small and don’t weigh much so they are also useful when not camping. Sounds like you’re having tons of fun with your research, I’m looking forward to your camp cooking post. We tend not to go for freeze-dried foods, even when doing multi-day tramping (hiking) trips. We’ve tried tons of them and not found many that are good. We tend to go for ready meals and remove all the outer packaging to save carrying loads of stuff. Plus, we pack turkey jerky, chocolate bars and wine in a foldable wine bottle flask (http://www.urbanoutfitters.com/urban/catalog/productdetail.jsp?id=34420406) for end of day treats. Since you’re car camping I have to suggest a cast iron fry pan. They’re the ticket for cooking over campfires. 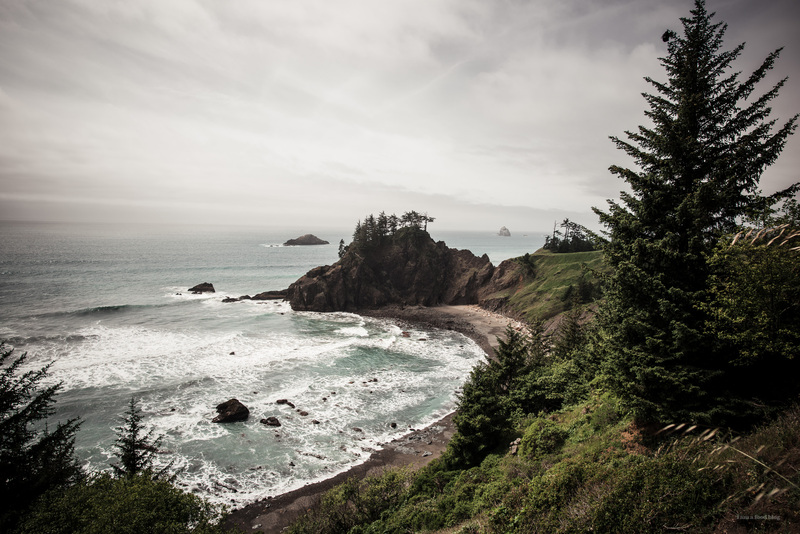 You’ll find that many park campgrounds have fire rings or other setups and often sell firewood. There is nothing better than a wood fire on a chill morning,, except for a wood fire on a chill morning and the smell of wood smoke and frying bacon. (A little hatchet helps with splitting kindling and kindling Paul Bunyan reveries). My latest favorite camp food is fried rice. I cook the rice and add in the flavoring (soy/hoisin) a at home and pack in a ziplock bag. At camp, I grill a ham steak or cook chicken, scramble up the egg, and toss in the veggies. Yum! Best cooking appliance for us is the Coleman combo stove/grill. Also bought a griddle desperately that fits over the grill grate section, and I can cook almost any meal. That beach is STUNNING. May I ask where that is?